The Trump administration is vowing to continue fighting for new policies that only allow asylum seekers to enter the United States at official ports of entry. A judge ruled Tuesday morning the new policies, issued by President Trump two weeks ago, cannot be enforced. Further, the ruling stated that in accordance with U.S. law, anyone seeking asylum can do so along any portion of the U.S. border. 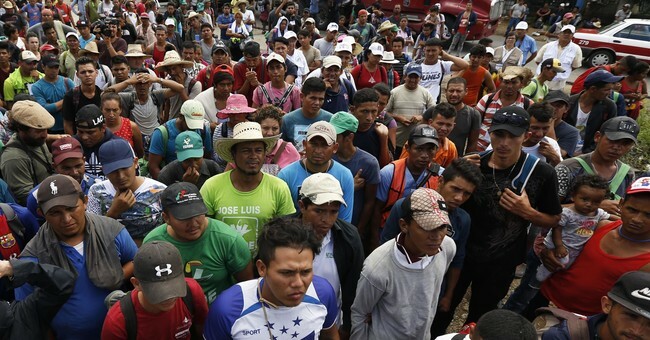 "At this very moment, massive numbers of aliens are arriving at our southern border, threatening to incapacitate our already overwhelmed immigration system. Yet now, a single district judge has issued a nationwide temporary restraining order preventing the executive branch from performing its Constitutional duty to enforce our borders and control entry into the United States. This decision will open the floodgates, inviting countless illegal aliens to pour into our country on the American taxpayer’s dime," White House Press Secretary Sarah Sanders released in a statement late Tuesday afternoon. "Today’s ruling is contrary to well-established Federal law, the Attorney General’s and Secretary of Homeland Security’s discretion under the Immigration and Nationality Act, and the President’s own Constitutional and statutory authority," she continued. "This temporary injunction is yet another example of activist judges imposing their open borders policy preferences, which are rejected by the overwhelming majority of the American people, and interfering with the executive branch’s authority to administer the immigration system in a manner that ensures the Nation’s safety, security, and the rule of law. We will take all necessary action to defend the executive branch’s lawful response to the crisis at our southern border." Meanwhile, tensions at the border continue to rise as Mexican citizens protest against the caravan and call it an invasion.